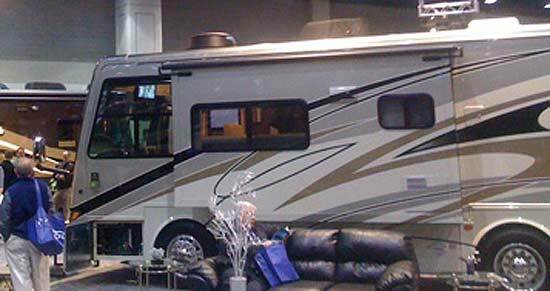 RED BAY, AL – T he winds of change are blowing at Tiffin Motorhomes, where the high-end, compact-sized Allegro Breeze has joined the Zephyr and other popular models. At 28 feet, the Allegro Breeze is 17 feet shorter than the top-of-the-line tag-axle Zephyr, but only 9.5 feet longer than a Chevrolet Suburban. The Allegro Breeze GVWR is 21,500 lbs. 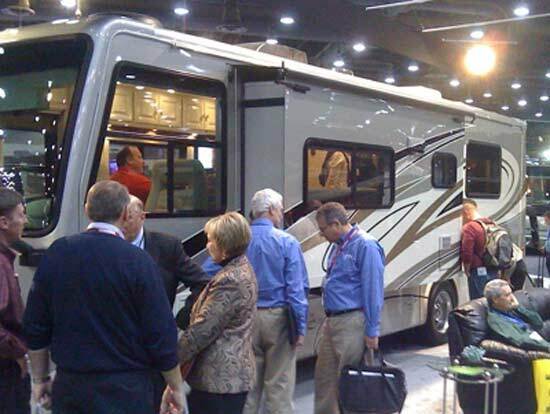 A concept model Allegro Breeze was introduced to dealers and news media today at the annual Recreational Vehicle Industry Association’s 47th Annual National RV Trade Show in Louisville, Ky. 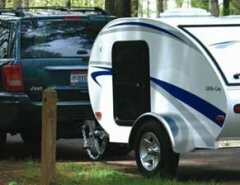 The Allegro Breeze will begin appearing at Tiffin’s network of dealerships in the U.S. and Canada in March 2010. Pricing has not been established. 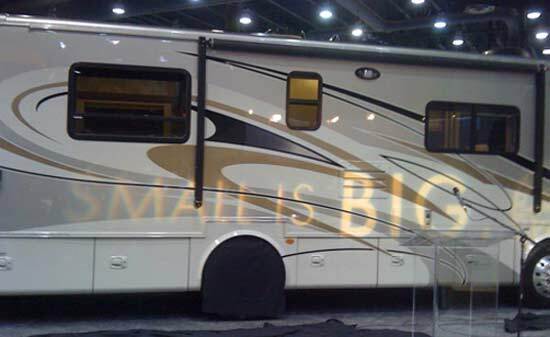 A concept model Allegro Breeze was introduced to dealers and news media at the annual Recreational Vehicle Industry Association’s 47th Annual National RV Trade Show in Louisville, Ky, December 2009. 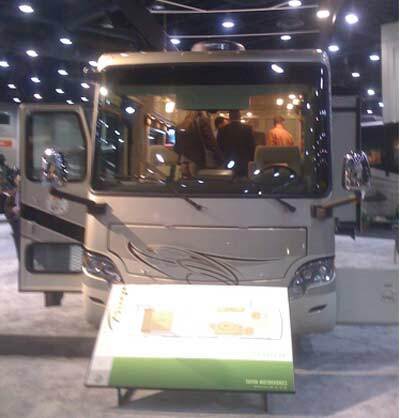 The Allegro Breeze will begin appearing at Tiffin’s network of dealerships in the U.S. and Canada in March 2010. Pricing has not been established. Powered by a Navistar Maxxforce 215-horsepower diesel pusher manufactured in Huntsville, Ala., near the Tiffin plant, the Allegro Breeze is built on Tiffin’s own PowerGlide chassis. Introduced in 2008 on the Allegro Bus, the PowerGlide chassis quickly became a popular option, offering one-stop service for Tiffin owners at dealerships and the Tiffin service facility. The PowerGlide chassis for the Allegro Breeze is newly designed on a coach-ready platform. All the allure of the single-slide Allegro Breeze is not in the performance.